Please let us know when making a reservation if you would like a table inside or outside the restaurant, thank you. 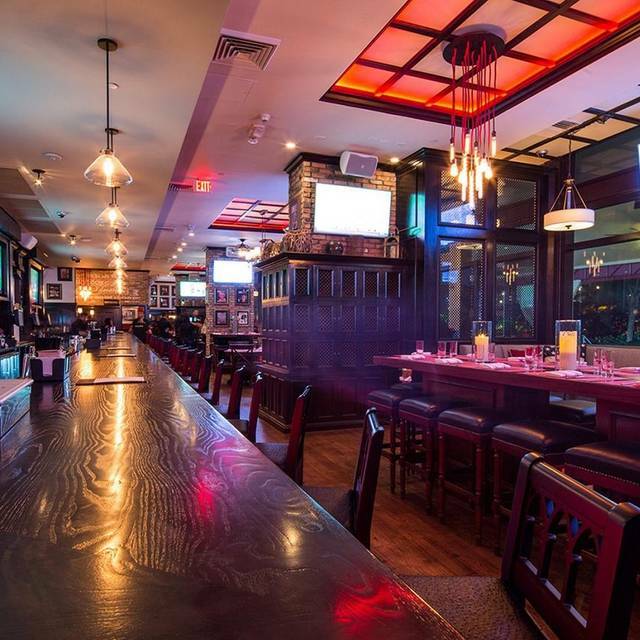 American Social features extensive options for off-site catering for parties of all-sizes! Enjoy our boxed meals or platters for your group, or design a custom buffet or plated meal options at your location with our fresh made menu options. Send your inquiry today for one of our signature options or a custom catered menu! 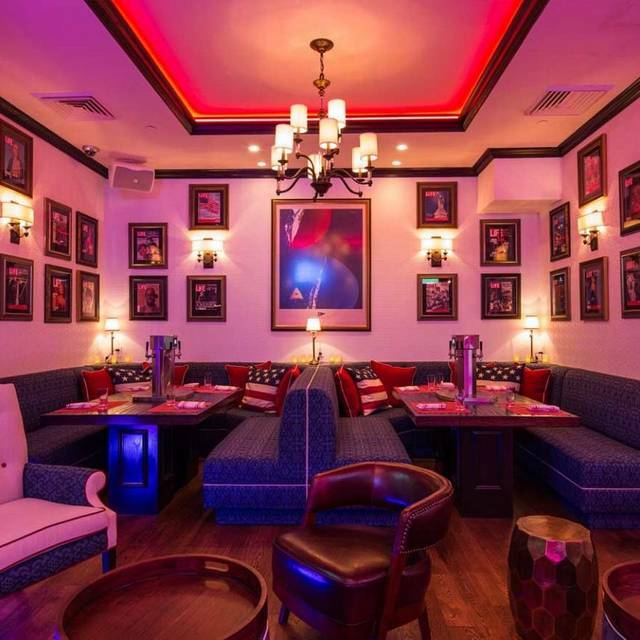 American Social, the beloved All-American Restaurant & Bar, opened its doors in Brickell in 2014. 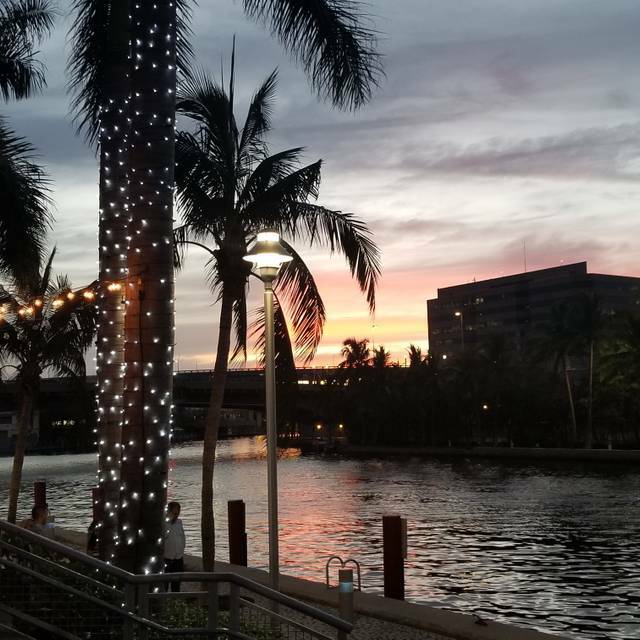 The beautiful water front location is the place to be for happy hour drinks, watching the big game, or dining with friends. With an endless selection of craft beers, delicious handcrafted cocktails, and an extensive made from scratch menu, there’s no better place to kick back and relax! AmSo Signature $5 Burger Monday! Beat the Monday blues with a classic cheeseburger deal you can't beat! 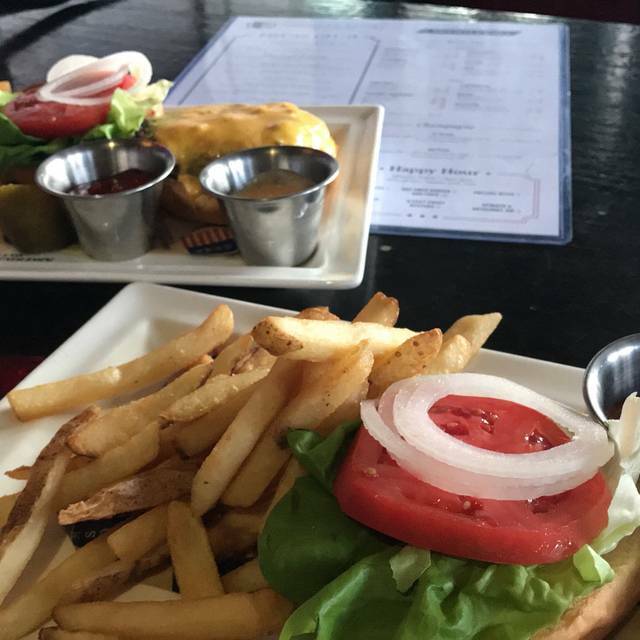 Enjoy our 8 oz AmSo Burger every Monday for just $5 during Lunch or Dinner, with purchase of beverage! Join us for dinner every Wednesday with $10 Pepperoni and $12 Truffle Pizza made fresh from scratch! Pair your pizza with 50% off select bottles of wine, perfect for a dinner for two or a group! 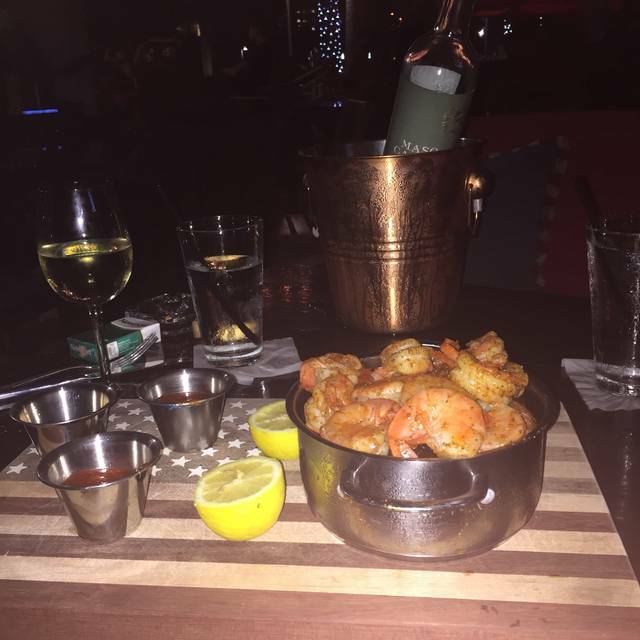 Join us with friends and coworkers on our waterfront patio or at the bar for Happy Hour Share Plates, $10 Specialty Cocktails, and 50% off many Liquors, Beers, and Wine! Great Place good food great service !! Sunday brunch is always just so much fun there, bottomless mimosas and bottomless omelettes and a lively fun atmosphere. Sat on high top table outside. Waiter/Leo was great and Food was delicious! Enjoyed great music and atmosphere! I've been to American Social several times before and I like the restaurant overall. This time I invited a group of friends to brunch. I didn't pay attention at the time of making the reservation and we were put inside. It's unbearably noisy inside and makes having a conversation next to impossible. Therefore, I would recommend only reserving a table outside. It's much nicer! The location off brickell was beautiful. Loved the water and boats coming by. Will eat there again. Great view, drinks and service. The crab cakes were amazing so was the seafood platter. Everything was e fresh and the atmosphere was perfect. The food here is AMAZING!!! Definitely a place to hang out with friends and eat small plates! 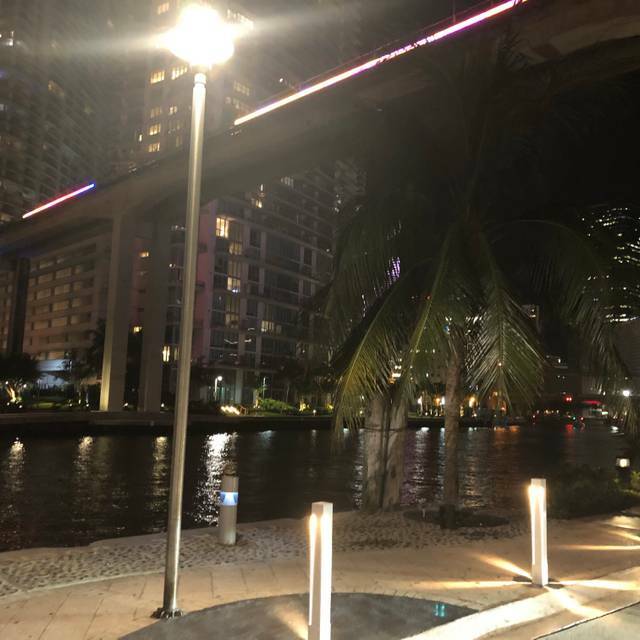 The ambiance is amazing especially since it’s right by the Miami river! Very nice place but poor service. A 20 minute wait for every round of drinks. Nice place on the water. We were suprised by the happy hour that went until 8pm... Some good stuff on there and beer and wine half off. Food was decent. Apps good.. Burgers were good (6oz for$6) oysters nice. Truffled pizza was basically cheese pizza with truffled salt and too salty. Waiter forgot to put in the oyster order so they came with the meals. Drinks were slow to come especially the second round we wanted with the meals. Asked a couple times to different people for some condiments for the buggers but they never came. Inside was almost empty but packed outside, don't think they were so busy to be messing stuff up. Over all decent might go back again. Way too loud. I had a hard time hearing my friend who was sitting literally right next to me in one of the high-top tables. The music was loud and there were lots of boisterous 20-somethings in various stages of inebriation. Plus, the boats that would pass by were typically blasting their own music. The day before my reservation, I was called by the hostess to confirm and was offered a table closer to the water. When I got there, I was seated at an outside high-top furthest from the water. When I told them I had expected another table, they told me that they had to move me because a bigger party had taken over the table that was supposed to be mine. They apologized profusely and I told them I understood, but I couldn't help but be a bit miffed. The food was ok, nothing to rave about. I'm not going back anytime soon. Great food, very cold, great restaurant. Valet too expensive. On 03/05/19, there was a ridiculous. They were extremely much too inappropriate. My daughter turned 16 and my wife and I were very uncomfortable. They were hands where shouldn't be with hands visibly in girls shirt and down pants and we mentioned this to your staff. They not only didn't say anything but didn't ask them to move. Plus, they ordered no food. I would hope that there would be some type of gift certificate or dinner to be offered or provided to us due to the extreme behavior and this oversight on your team's part. They made the experience not pleasant. It it wern't for the excellent food we would not come back. And, we were thinking about having a surprise party for my daughter. Our waitress was super friendly but very slow service for an empty place on Monday night. Nobody was able to finish the burger because it was extremely salty. The other snacks we ordered had no flavor at all. Beautiful view of the water but this is really the only positive thing about the place. Amazing views and excellent food. I held a bachelorette brunch here and the food was delicious!! I had the Strawberry French toast which was one of the best French Toasts I ever tried. It was filled with nutella mascarpone and maple syrup. The strawberries that topped it off were very fresh. I also had the Maine Lobster Benedict which just as good and a must have. The atmosphere was chill and relaxing with beautiful views of Miami. The food, music and ambiance was great! But, the service was very slow. We had to wait a long time to be served, get our check and pay. Brent the manager made our experience! I always love the BLAT chicken sandwich but this time I was not happy. My fries were very soggy and the one slice of avocado was brown and the tomato was not fresh either. I booked outdoor seating but when I spoke with the restaurant the day before, they said that all the outdoor seating was taken. So that was deceiving. Also, the service was slow. The server was a great guy and really sweet, but it took a while to order food for 2 people. Otherwise, it has a great atmosphere and the food is on point! The food was delicious (brunch) and our server Craig was excellent. Be sure to make reservation on the weekends. For large parties, 5 more more people are present when you check in. There is not any parking available. They do have valet $10 CASH ONLY. It’s not affiliated with the restaurant it’s for the residents and guess that live in the building. The staff is friendly but management is rude and dismissive. OVerall the food is good, shareable portion and great ambiance. 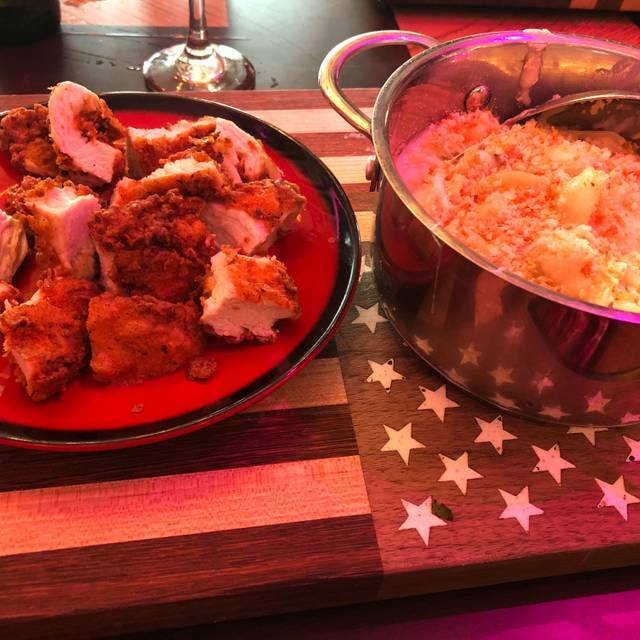 I’ve been to American Social several times before, this was my first time experiencing such and harsh waiter and a lot of food errors. But overall it was a great night. I’ve always really enjoyed my visits to AMSO in the past, which is why I was disappointed when I booked table for my friends and I to enjoy the AFC championship game and celebrate my birthday at the same time. I called to confirm the reservation in addition to booking through open table. I was promised to get a high top table inside big enough to fit my 14+. When we arrived, we found out they had already reserved that table to someone else. In their defense, they did scramble and tried to be as accommodating as possible to find us a table. We ended up with booths that fit 10 so it was a bit uncomfortable to say the least. Overall, I just wish they had better logistics. If they had reserved that table, a simple no to my reservation request would have sufficed and I could have looked for another location. I would recommend going here if you have a small party and don’t care where you stand or sit. If you prefer the guaranteed reservation you requested, maybe look somewhere else. Could of been better, if the food wasn’t cold and if my husband didn’t have to wait 25 min for each beer he ordered. I like the vibe, has potential. They also gave us a table outside even though we requested one inside and made the reservation 4 days in advance! We requested a private room but were not able to secure that, so instead management put us outside. This did the trick in terms of helping with the noise level, and the view was beautiful. The food was great, ambience enjoyable, but above all...our server was fabulous! I would like to point out that the manager was AMAZING! He was so fabulous and made our dinning experience amazing. He was so fresh and full of energy. At first our group was a little upset because we lost our table due to us getting lost and being unable to find the area. But once we were there and got seated the staff and manager made the extra 30 minute wait worth it! Try the strawberry French toast and the breakfast pizza! Amazing waterfront views. Good food. Good was an amazing server and Brent the restaurant manager just became our best friend! AmSo you are fortunate to have such amazing guys on staff. First visit: both the Scallops and the BBQ Pork with Guava were outstanding. Excellent service from the staff. Food, service and ambiance are good. I didn't know that they had different kinds of seating outside and wish I was given an option ahead of time. Low seating is very nice but not good with short dresses or rompers so be mindful when making reservations. Nevertheless, would definitely go back and recommend. 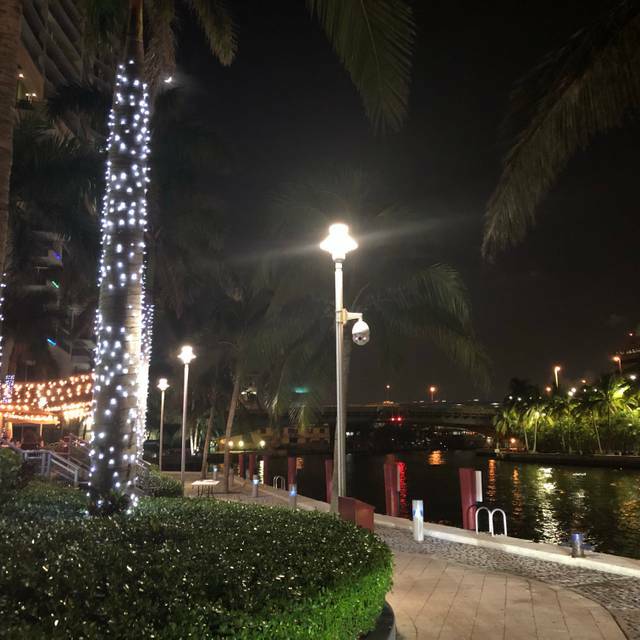 Relaxed setting and great food with excellent service without a pricey tag next to the Miami River. If the outdoors with a DJ is not your thing, you can always retreat indoors and still enjoy a vibrant and colorful interior. It's one restaurants where you'll tell yourself, "I'm definitely coming back here when I'm in Miami again." We were told our reserved table was only for 3 hours and we couldn’t change the one we got as the whole place was already booked. We only spend an hour and a half there and it was literally empty the whole time. Not satisfied as menu didn’t offer wide variety. We ordered crab cakes and it only came with 3 super small ones and nothing else. We needed to order more food to fill us up. 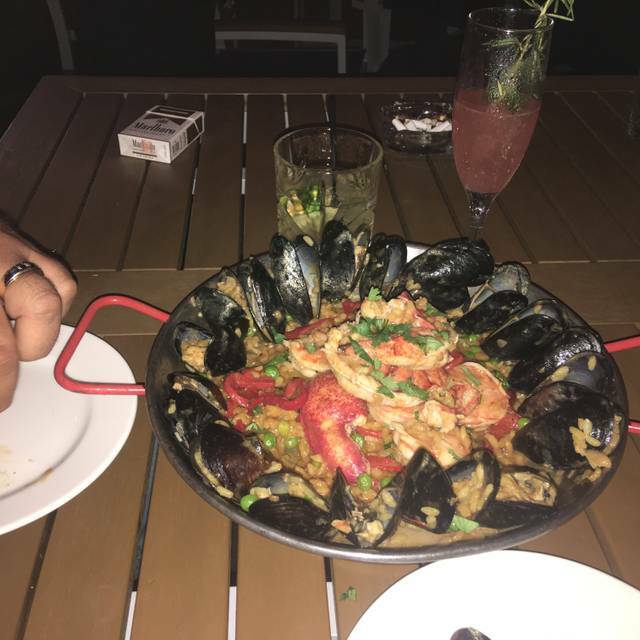 We also ordered Paella for 2 and it was not even enough for one person and plate was filled mostly with mussels. It was our first and last visit to American Social!